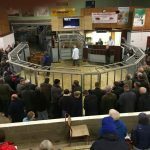 Lochmaddy – Dingwall and Highland Marts Ltd., on January 17 sold 147 weaned calves and store cattle, three adult head of breeding cattle and 25 OTM cattle. Bullocks (73) averaged 214.8p and sold to 260.0p per kg for a pair of 300kg Limousin crosses from 7 Sollas, Lochmaddy, and £955 gross for a pair of 440kg Limousin crosses from Old Inn, Tigharry. Heifers (73) averaged 201.9p per kg and sold to 237.7p per kg (twice) for a 265kg and 305kg Limousin cross from 13 Balemore, Bayhead, and £815 gross for a 380kg Limousin cross from Old Inn. Young bull (one) sold to 187.3p per kg and £515 gross for a 275kg Limousin cross from 15 Liniclate, Creagorry. Breeding cattle (3) sold to £700 gross (twice) for a Limousin cross in calf cow from 10 Hougharry, Lochmaddy, and for a Simmental cross in calf cow from 8 Clachan Sands, Lochmaddy. 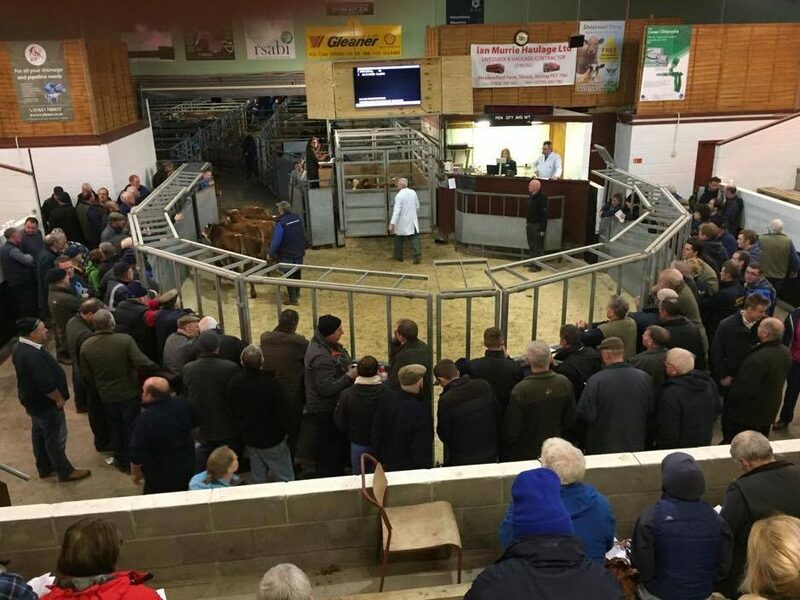 OTM cattle (25) sold to 103.7p per kg for a 820kg Charolais cross from 1 Knockline, Bayhead, and £980 gross for a 965kg Aberdeen Angus cross from 12 Rathad Mhic Eion, Balivanich. Heifers up to 250kg – 15 Liniclate, £500, 227.3p; 251-300kg – 7 Sollas, Lochmaddy, £700, 237.3p; 301-350kg – Old Inn, £755, 1 Clachan Farm, Lochmaddy, 236.5p; 351-400kg – 14 Hougharry, Lochmaddy, £800, Old Inn, 214.5p.